Organised, positive and always looking for the next challenge, Tarek El-Yassih is our newest member at Laing + Simmons Granville, holding the position of Leasing Executive. 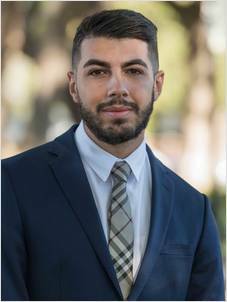 Having worked in other industries such as Retail before embarking on a career in real estate two years ago, Tarek’s broad skill base, customer service and strong communication skills ensures clients receive a great service. Tarek finds that building and maintaining long lasting relationships with his clients is second to none. He enjoys conversing with people, listening to their requirements and feels his business relationships only grow further from there. On a day to day basis Tarek undertakes inspections, finalises leases and helping clients in any way he can to ensure their property needs are met. Tarek looks forward to further developing his skills within the industry to ensure that the highest quality expertise remains at the forefront of the industry.